Military innovation is all the rage in U.S. Navy circles these days, and indeed throughout the Pentagon. It has to be, in an age when U.S. expeditionary forces square off against newly ambitious, newly capable antagonists on those antagonists’ turf. 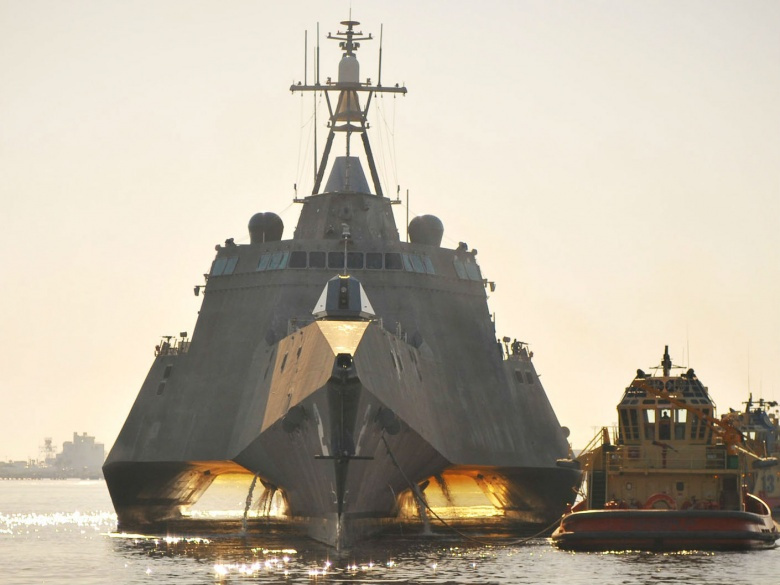 How can U.S. Navy chieftains speed up the search for newfangled weaponry, methods and tactics? My advice: to be innovative, innovate. Make it routine. Make the experimental mindset part of everyday naval life. If innovation comes to constitute Navy culture, seafarers will innovate of their own accord—and, in all likelihood, produce better results than the latest centralized initiative handed down from on high. For insight into how to encode creativity in U.S. Navy culture, where better to turn than classic works of political philosophy? And to be sure, in the canon you’ll find an odd couple from classical Greece and Depression-era California who can help. Why the Navy’s sudden mania for innovation? Simple: because America’s post–Cold War holiday from history has drawn to an abrupt close. In those halcyon years, basking in the triumphal afterglow of victory over the Soviet Union, officialdom cherished the conceit that U.S. naval supremacy had repealed basic military functions—functions such as fighting peer navies for command of the commons, namely the seas and skies, which are beyond the jurisdiction of any coastal state. Bizarre though it may sound—and let us vow never to repeat the post–Cold War leadership’s blunder—it seemed to make sense to let preparations for fleet-on-fleet battle lapse back then. Few could contest U.S. maritime mastery during the 1990s. Starved of funding, the remnants of the Soviet Navy were sinking, rusting at their moorings or making the final sad journey to the ship-breaker. With its archfoe consigned to the boneyard and an oceangoing Chinese navy little more than a gleam in its founder’s eye, there was no one left to fight. Why prepare for the last war? Why gird for a high-seas duel against a nonexistent enemy? Except that the post–Cold War years were a mere interlude in power politics, not an end of history. Faced with unpleasant developments—in particular, the return of China and Russia to the sea—Navy leaders have accepted that the happy time when U.S. fighting ships rode the waves with abandon is now over. American arms can accomplish little without an offshore safe haven. They can’t even reach important combat theaters, let alone project power ashore, unless they subdue local defenders. The Chinas and Russias of the world have taken note of U.S. forces’ dependence on the commons, strewing “anti-access” defenses along Eurasian shorelines. As a result, U.S. commanders can no longer take entry into Eurasia’s peripheral seas for granted. They must devise countermeasures to pierce anti-access defenses. Indeed, there are no final victories in strategic competition. Advantages in hardware, tactics and organization must be preserved and expanded for the U.S. military to stay ahead in this never-ending cycle of martial one-upmanship. Ergo, innovation. As the strategist Mr. Spock might counsel, military advantages are the most perishable of all. Now, all is not bleak. In recent years, initiatives have debuted that bear arcane titles like “third offset strategy,” “competitive strategies,” “CNO Rapid Innovation Cell” and “distributed lethality.” The Pentagon, for example, recently disclosed the existence of a “Strategic Capabilities Office” (SCO), a body made up of Big Bang Theory types devoted to finding creative, low-cost ways to mix and match existing weapons and platforms—bolstering U.S. forces’ dexterity and lethality. Repurposing the U.S. Navy’s SM-6 surface-to-air missiles to strike enemy surface vessels ranks among the SCO’s worthy endeavors. Indeed, that one came not a moment too soon. While good things are happening, however, the enterprising spirit shouldn’t be confined to geekdom. It’s worth asking how the leadership can widen the circle of innovators to encompass the entire U.S. Navy fleet. The Navy is a bureaucracy, that machinelike form of organization that one wiseacre terms “the 150-year old mashup of military command structures and industrial engineering that constitutes the operating system for virtually every large-scale organization on the planet.” Bureaucracies execute routine tasks over and over, the same way, every time—mass-producing whatever output they’re meant to manufacture. Which is fine until the world changes around the machinery, demanding different output. Machines have a hard time reinventing themselves. When change is thrust upon them, bureaucracies tend to do things through—surprise, surprise—bureaucratic methods. Managers launch new initiatives, institute new subsidiary bodies within the organization and codify the effort in new rules, procedures, career incentives—you name it. In other words, they add complexity while subtracting nimbleness. That sounds like a finely calibrated way to drain ingenuity and resourcefulness from an effort. Stasis often ensues when leaders deploy command-and-control methods to spur action. Military folk and their civilian masters also exhibit a dismaying habit of clutching at the latest fad from the business world. The notion of “high-velocity learning” is the latest import from management theory, promising to help leaders “generate better, faster results—using less capital and fewer resources.” That’s a message sure to please the Pentagon leadership in fiscally straitened times, when the armed forces, MacGyver-like, find themselves discharging increasingly ambitious missions with fewer and fewer resources. As the old Navy joke has it, if the sea services keep doing more and more with less and less for longer and longer stretches, they will end up doing everything with nothing—forever! So omnipresent was the cult of TQL that I still fight the urge to convene a process action team for advice before moving a piece of furniture around the office. I still drag around an old Broadside cartoon (not available online, alas) that encapsulates the perils of merging management theories like Deming’s with naval tradition. You get the point. Putting a military institution’s coercive power behind a management theory can yield self-defeating results. Likewise, it’s doubtful that “Innovate by next week or you’re all fired!” would excite freethinking and experimentation in the ranks. And yet that’s what everyone would hear, should the leadership deploy heavy-handed methods in its quest for innovation. If official policy requires everyone to be an innovator—or else—it may douse rather than kindle the inner fire within seafarers that impels entrepreneurship. In short, top leaders need to shape a venturesome culture within the U.S. Navy, unlocking mariners’ energy and ingenuity. And they need to do so without becoming a stern bureaucratic taskmaster—and squelching precisely the impulse they want to nurture. Where should military potentates turn for guidance? The business world furnishes insight, hence its popularity at the Pentagon. The likes of Spears and Deming do have something to contribute. Me, I prefer to consort with the greats of philosophy and history. Aristotle—who, ironically, saw sailors and their democratic ways as a malign force in politics—furnishes a starting point. The “wonderful old Greek” saw life as an exercise in cultivating good habits. The virtuous are virtuous because they practice virtue every day. They learn to shun both the excess and the deficiency of various traits, striking a golden mean. To be courageous, for instance, be courageous. Abjure both cowardice and foolhardiness enough times and courage becomes second nature. To be innovative, then, make innovating routine. This applies to institutions as well as individuals. The U.S. Navy has habits, which are codified in tactics, doctrine and bureaucratic practice. Are they healthy ones? Aristotle thus proffers wisdom both for individuals and for the Navy as a whole. Lesson #1 from the Western canon: build habits suited to an age of open-ended strategic competition. Be constantly on the lookout for ways to improve how the fleet does things—and act when the flash of insight strikes. Wisdom also comes from a longshoreman in mid-century San Francisco. Best known as the author of The True Believer, Eric Hoffer was a self-educated, self-made philosopher. A Grapes of Wrath–era migratory worker and gold miner around Nevada City, he settled in the Bay Area in 1943. Hoffer worked on the docks three days a week while spending another as a scholar-in-residence at UC–Berkeley. His favorite among his own works was The Ordeal of Change, parts of which read like a missive to a U.S. Navy intent on cultural change. Hence Americans’ unbounded “faith in human regeneration… a faith founded on experience, not on some idealistic theory.” Hoffer recalls wondering who were the pioneers’ heirs in the Southwest of the 1930s. Not the comfortable—what incentive does someone living the good life have to shake things up? Hoffer concludes that the tramps he encountered on the road were the true pioneers. Misfits and losers tinker because they hate being weak. Tramps were the dregs of society, but they had autonomy. No one pushed or ordered them about, and they were possessed of a fiery desire to survive and thrive. Struggle steels character. Lesson #2 comes from a longshoreman: resuscitate the pioneering ethos. The less authoritarian and bureaucratic the Navy’s campaign for innovation, the better. The more it empowers individual sailors to be themselves, the better. Let them be pioneers. Classical Athens, the Renaissance, Elizabethan England and the Enlightenment, says Hoffer, were “buoyant and even frivolous” epochs that witnessed outbursts of learning and invention. Dour, pedantic, anti-individual eras, conversely, are seldom creative. Ideologues want dull conformity, not an enterprising counterculture. Lesson #3: don’t be a control freak. Do away with orthodoxy, keep things upbeat within the U.S. Navy and liberate sailors’ inquisitive natures in the process. Playfulness begets experimentation—and bolsters combat effectiveness in the bargain. Two cents on military innovation from philosophy’s odd couple: change needn’t be an ordeal.